Find out how we have helped companies of all sizes worldwide to manage projects and programmes better with solutions that ensure skills gaps are filled and appropriate methods such as PRINCE2 are adopted as required for best practice. Excelian goes global with flexible and consistent Best Practice training from ILX. The Transport Management Centre (TMC) monitors and manages the NSW State road network 24 hours a day, seven days a week, 365 days a year. ILX provides credit risk insurance firm Atradius with PRINCE2 training across Europe. Nicola Lamplough, Implementation Manager - Support Office talks about how the ILX Connect support program has proven invaluable in aiding Boots to train users in PRINCE2 and MSP using e-learning delivered via the ILX portal. ILX Delivers best practice training through flexible e-Learning to COLT. Read how ILX helped FIFE Council develop and improve employee project management skills and increase productivity with APM Introductory Certificate in Project Management e-learning. ILX and the Home Office devise new accredited qualification to transform leadership of programmes. ILX Group wins global contract with international drilling contractor KCA DEUTAG to provide e-learning in project management across 22 countries. Read how Police Mutual, the UK's largest affinity friendly society, with over 180,000 members nationwide and assets over £1.1 billion, came to ILX to deliver ITIL and PRINCE2 computer based training to staff. Read how ILX enabled Sussex Health Informatics Service (HIS) to save significant funds and improve training provision and delivery to 25,000 NHS users in the UK. Read how ILX implemented project management blended learning into one of the UKs largest water company. See how our ITIL training has been key for various organisations in improving their IT Service Management and IT infrastructure. Find out how ILX delivered ITIL IT Service Management Foundation training across the 80 strong IS&T department of Northumbria Police. See how ILX helped Police Mutual to provide ongoing enterprise-wide project management and IT service management training using ITIL and PRINCE2 e-Learning delivered via a network. Find out how Unisys, the worldwide information technology consulting services and solutions company, which has 20,000 employees across the globe, used ILX e-learning to deliver flexible PRINCE2 and ITIL training over a three year period. 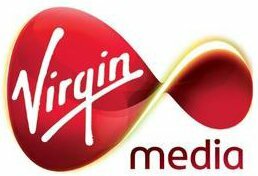 Find out how ILX Group in partnership with Virgin Media created a world-first, award-winning synchronous ITIL® e-learning programme. Read case studies where organisations have used ILX's financial awareness and competency learning to achieve greater financial management and control. See how ILX's financial awareness training programme enabled Borealis to improve business acumen among employees world-wide. Find out how Ciba Specialty Chemicals, a leading global chemical manufacturer, used ILX's financial awareness development services to ensure that all managers have a broad financial know-how as the basis to achieving sustainable profitable growth. Discover how ILX's financial competency e-learning helped GKN improve the practical financial understanding and business acumen of 100 senior managers. See how Heineken improved the effectiveness and communication abilities of its managers using ILX's finance awareness development solution. See how ILX provided Hilton with finance training courses for more than 65,000 people in based throughout Europe, the Middle East, Africa and Asia. Read how ILX's e-learning modules covering Financial Fundamentals, Operational Analysis and Strategic Analysis allowed IMD to overcome a growing need for managers to understand finance. See how a series of financial e-learning courses from ILX Group enabled Leica to develop a comprehensive development programme for managers. Discover how Nestlé was able to provide over 250,000 employees world-wide with multi-lingual, high-quality financial learning. Read how ILX delivered a suite of six financial e-learning courses in English, French, Spanish and Mandarin that were customised to suit SGS financial formats and terminology to over 1200 managers across the company. "One of the things we really value about ILX Group is its flexible and partnership-style approach to training. We're able to use its products, services and highly experienced trainers together with our own in-house capabilities to deliver the most effective and best-fit training solution to our staff. And it is an approach that is starting to pay dividends because we now find that staff who've been through the ILX Group solution are much better equipped to manage projects in a more cost effective and timely way. It also means that we have a more consistent approach to project management despite the multi-national and multi-culture mix of staff in NATO." "Anglo American plc is one of the world's largest mining companies; with IM staff distributed across the globe. For this reason, the ITIL v3 Foundation e-learning solution from ILX Group plc has provided us with an excellent mechanism to educate our staff, often located at mining sites far from major centres. The high standard of the multi-media rich course is exemplary in course design, interaction, assessment and learner support. The design of the course material makes it easy for students to navigate through the course material and optimise their learning at their own pace and convenience." "The ILX Group plc courses are a very effective way of developing an understanding of Project Management and form an important part of our Project training framework." "By offering employees such accredited courses we can cost effectively deliver a comprehensive training programme and hopefully go some way to achieving our ambition of becoming a first class community hospital that provides high quality care in every way." "We have used the PRINCE2 Foundation course from ILX Group plc with excellent results for 18 months, so the obvious solution was to add Project Management (Fundamentals), Programme Management and Managing Risks in Projects to our training programme. All four courses are regularly updated and made available over the local computer network to the project managers and development team." "I'd like to thank you for the very positive, flexible support I received from you throughout the delivery of the multimedia training which resulted in a 100% pass rate and saw some 80+ project managers attain the PRINCE2 Foundation accreditation." "ILX is our preferred choice for distance learning solutions. Their extensive portfolio of self study material provides a viable alternative to classroom based training. This is especially relevant to our working in a time sensitive web industry. Their course updates based on our feedback with regards to usability, focus and content relevance allows us to be partners rather than strictly customers." "The multimedia courses were an excellent investment for us. We took the PRINCE2 exam brimming in confidence and all passed." "Many thanks for an excellent and very enjoyable course. I found the handling of the discussions spot on and the fact that we were able to complete the syllabus proved this. I will certainly recommend to anybody who wishes to take PRINCE2 courses in the future." "Thanks for an excellent course here at the Authority, all passed :-)"
"Within Navigha, we have been delighted with our cooperation with the ILX Group, who provided us with PRINCE2 e-learning training which we have found to be very well structured. Also, as it is an e-learning course it gives the opportunity to follow the training at our own pace and it is fair to say that the flexibility has been priceless for us! As a result, 100% of our candidates passed the exam so far! There is no more to say ... A flexible, well-structured e-learning is the key to a successful project!" "The learners in The IQ Business Group have repeatedly commented about the quality of the e-learning modules and I myself have experienced amazing after sales service, which has ultimately put ILX in a league of their own. We have enjoyed the partnership and exceptional service we have received from both the sales people, and the examination co-ordinators that we have been interacting. The fact that we are thousands of miles apart has played no role in the ability of our companies to work together and deliver training and obtain certifications in PRINCE2 for many of our consultants." "Alpha FMC have introduced PRINCE2 as a core qualification across our consulting workforce. ILX Group have continually provided an excellent level and quality of training to our employees and helped us to achieve a 100% pass record to date. The e-learning tool is comprehensive and easy to navigate and the huge bank of practice questions has proven invaluable to all those studying towards the qualification." "We have been delighted with the training solutions offered by ILX Group plc. The two courses, PRINCE2 Foundation and Programme Management have proved invaluable in helping our staff to plan and manage projects more effectively. The courses are more cost effective than classroom learning, and because they are IT based, staff can take the courses at their own pace to fit in with their work commitments." "ILX e-learning modules are tremendously instructive well designed, not to mention pedagogically excellent. "